Selecting the right window fitting for your property depends entirely on the style of window you have; usually sash or casement. For sliding sash windows you will need sash fasteners to secure your windows when closed and sash lifts or sash handles to open them. The most common sash fasteners are quadrant arm pattern, brighton pattern or fitch pattern; available in non-locking or locking versions. For a quality fastener, you cannot go far wrong with a Carlisle Brass product. If a budget fastener is more suited to your application, then an imported version would be the ideal one to go for. The most popular finishes are polished brass, polished chrome and satin chrome, although many are also available in satin nickel, bright nickel, satin brass, imitation bronze and real bronze. To open your sliding sash windows you will need a sash lift, sash handle or sash pull. The most commonly used type are sash lifts which have an upside down hook shape, under which you place your fingers and push up or down to open or close the window. Another type of sash lift is a straight design, approx 64mm wide and lifted by placing the fingers underneath the lift. A sash handle is a traditionally style curved handle which is grasped in order to open and close the window. A sash pull or flush pull is a rectangular shape with an indentation in which to place your fingers. It would usually be set into the window frame so that the outside frame of the pull is flush to the frame. For casement windows, a casement stay would be required to secure the window closed, as well as securing the window in a semi-open position. The casement stay should be positioned on the bottom of the window or the window frame. There are several holes along the length of the casement stay which can be used to keep the window open when positioned on the pins screwed to the window frame. Casement stays are commonly available in lengths of 203mm, 254mm and 305mm. All sorts of different designs at the end of the stay can make a particularly attractive feature. Casement fasteners are screwed to the edge of the window and commonly fastened closed or semi-open, allowing for ventilation to a mortice plate or hook plate screwed to the window frame. 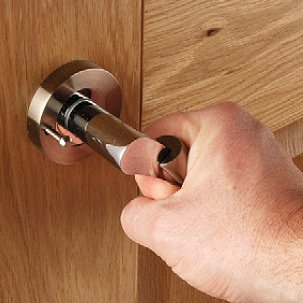 These are available in both locking and non-locking designs in a host of different finishes.